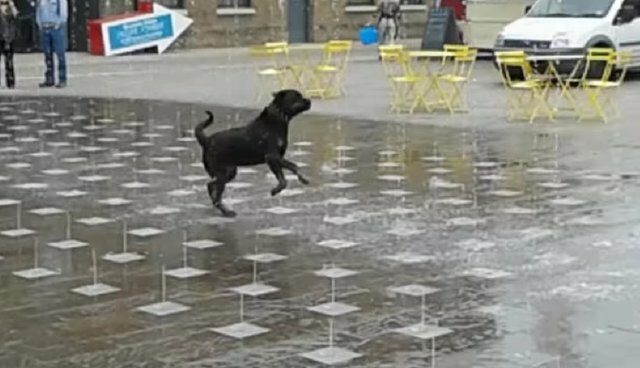 If you happen to find yourself in the presence of a wonderful fountain, chances are you should probably dance in it. 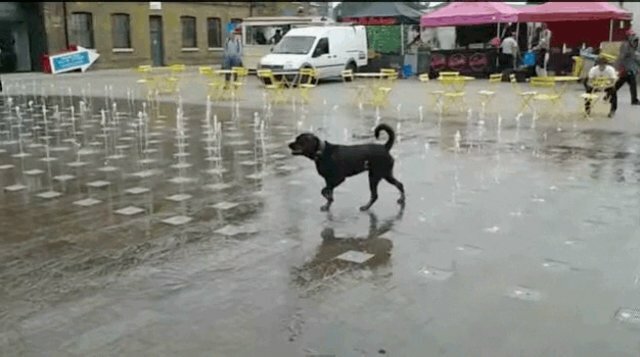 And that's exactly what this happy pup did! 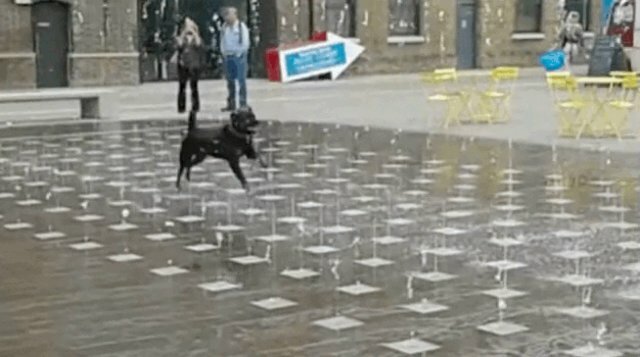 While venturing near the Central Saint Martins College in London, one bystander managed to catch this pup's gleeful romp between the dancing jets of water. The seemingly unpredictable waterworks are perfect for chasing, since they never seem to get tired. Unfortunately, these magical jets disappear right when you try to eat them. What malarky is this? Definitely a much more epic way to pass time than playing in the sprinkler! 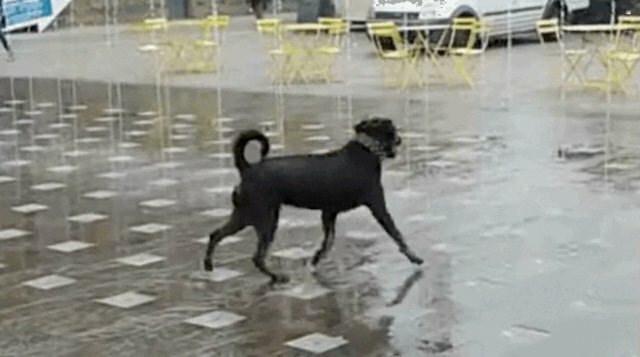 The reason why most dogs are so keen on playing in water (as compared to other animals, such as cats) is because quite a few dog breeds were originally bred for the specific purpose of working in water, and therefore feel quite accustomed to it.